According to this Woolly Bear, we’re going to have a short and mild winter!! He tells me so because he has a long band of brown. Usually they have a black band at their bottom too, and this one doesn’t. Yesterday as I went to step outside, I noticed a woolly worm crawling to the inside of the house. I picked him up and set him on the deck to take some photos of it. 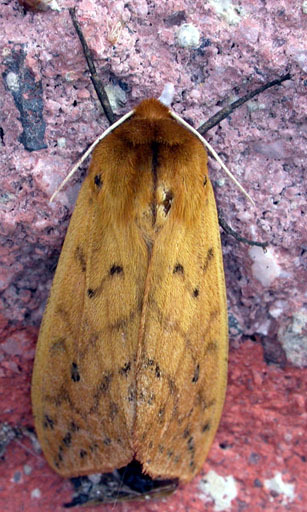 The Woolly Worm is a caterpillar (named the Banded Woolly Bear) that will turn into the Isabella Tiger Moth. The Woolly Bear will live throughout winter as a worm, and then turn into a moth in the spring/summer. 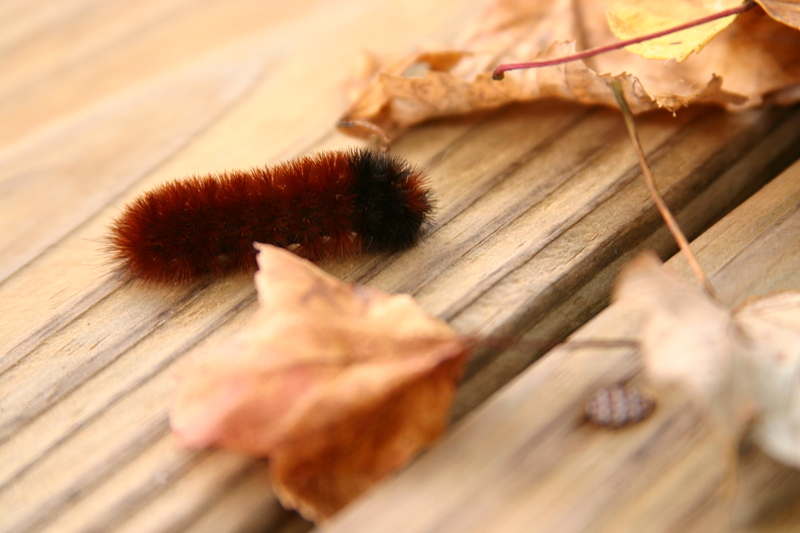 It’s a folklore that the amount of black on the Woolly Bear predicts the winter. But, in reality, each litter of worms varies in its coloring. The black bands also decrease as the worm matures. I also found out there is a Woolly Worm festival in Beattyville, Kentucky ever year.